FREE On-The-Go Hydration Set At L’Occitane! 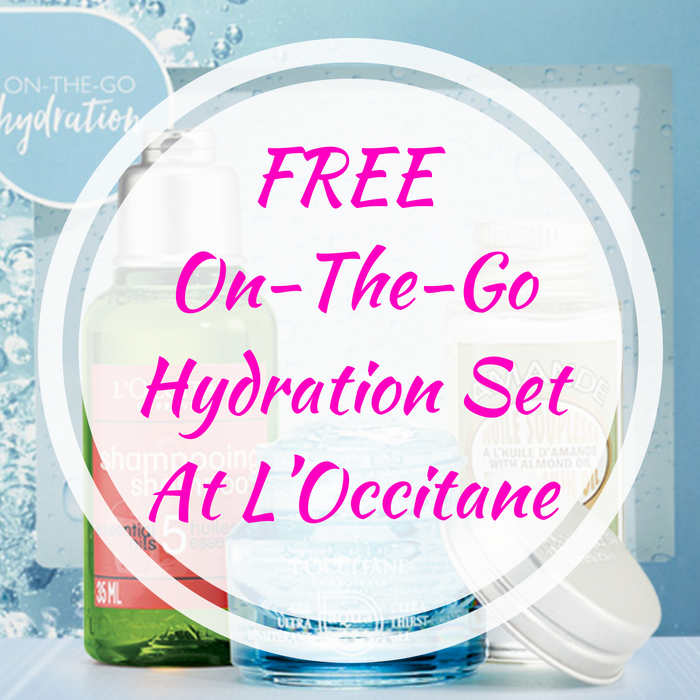 You are here: Home / FREEbies / FREE On-The-Go Hydration Set At L’Occitane! Until June 10 only! Hurry over L’Occitane to score a FREE On-The-Go Hydration Set ($20 value)! No purchase is necessary if you’re shopping in-stores. All you need to do is walk in and show your cashier the code which you can find here. If you’re shopping online, you can get this FREE Gift with a purchase of $5 or more and promo code HYDRATE at checkout. This FREE gift set comes with essential oil shampoo, almond shower oil and thirst-quenching gel.